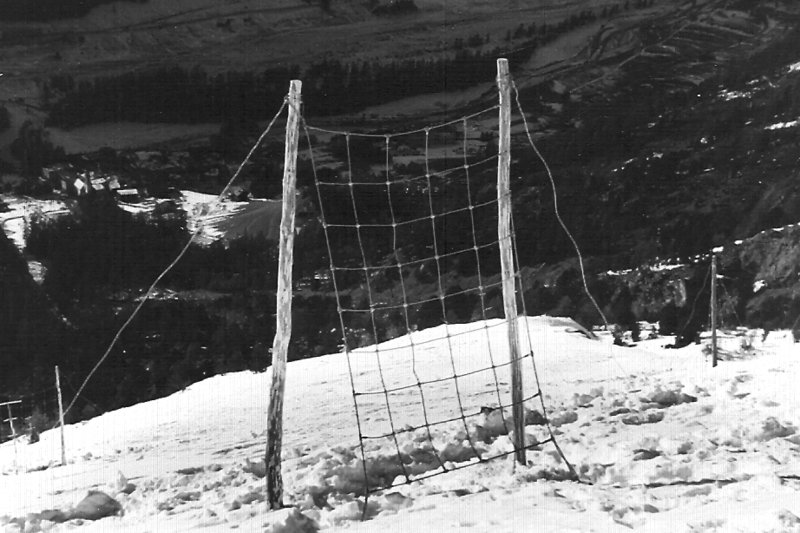 We constructed our first installations made of wire rope net in 1951 as protection systems against avalanches. These avalanche prevention structures were exposed to rockfalls during snow-free periods and they succeeded in holding these rocks. Noticing this, we came up with the idea of also using the wire rope nets specifically for rockfall protection. In 1958, the first rockfall protection structure made up of wire rope nets was constructed in southern Switzerland – the beginning of a unique success story. In the decades that followed, the product range continued to develop further and further: We created solutions providing protection from natural hazards such as landslides and mudflows, as well as avalanche prevention structures. In addition to these, more and more application areas opened up. As a result, Geobrugg nets are also now used in motorsport, to secure tunnels, and to protect against impacts. Since 2008, Geobrugg has traded as an independent corporation within the Brugg Group establishing itself as a market leader.